Transformation of ROSLA Block at Lostock Hall Academy Unveiled! Work to renovate an entire block at an academy school in Preston has been completed, with the new block now open and in use after an official opening ceremony. Lostock Hall Academy unveiled the Penketh Building last month – a former ROSLA block that has undergone an entire £850,000 remodel and renovation after successfully gaining funding under the Education and Skills Funding Agency’s (ESFA) Condition Improvement Fund (CIF). Originally opened in 1972, the block was intended to be a temporary / short term solution to creating additional classroom space after the secondary school leaving age was increased from 15 to 16. Although never meant to be a permanent fixture, the block was still in use 46 years later, despite not being well-suited to 21st Century learning. The building also presented other issues for the school, including high ongoing maintenance costs and a potential fire risk due to the building’s construction and materials and as such, the block was identified as being in need of attention and investment. As specialist school building consultants, Lea Hough was approached and a consultation to establish the best way forward was agreed. Due to the nature of the works, funding under the CIF was highlighted as a possibility and the Lea Hough team began the process of preparing and submitting the bid, which gained approval in April 2018. Work began on the project in summer 2018 and was completed within 9 months. “This project goes to show how important funding sources can be to schools and academies. 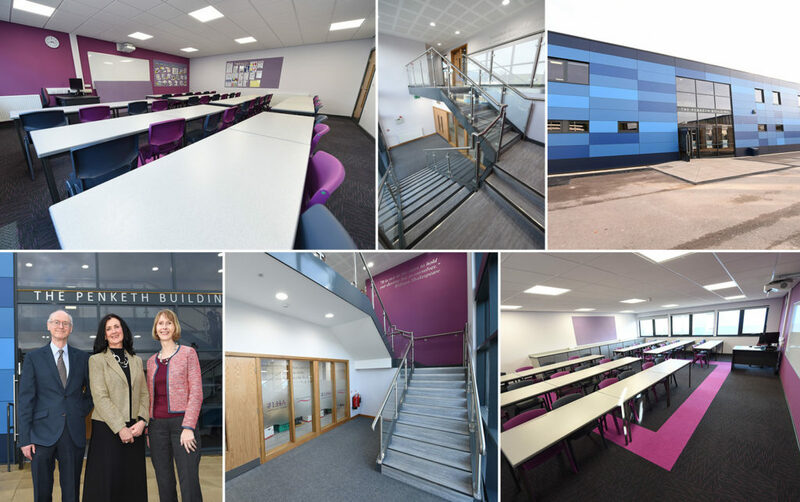 “The design and build was centred around inspiring teaching and learning for current and future generations of students attending Lostock Hall Academy. “The building is light and airy and the classrooms are spacious and welcoming, allowing for greater flexibility for team teaching and smaller group work. “Not only do we envisage our students and staff benefiting from the Penketh building, but we hope to be able to share it with our local community by opening it up as a conference and training facility”. More information on the transformation of Lostock Hall’s ROSLA can be found block here. Lea Hough are experts in this field, having helped academy schools and sixth form colleges obtain over £17 million in grants over the past 5 years alone. Our education consultants manage the entire process from start to finish – from preparing and submitting the CIF funding application (on a no-charge basis) right through to providing full project-management to ensure successful project completion. For help, advice or to make an initial enquiry about our work in the education sector, please contact us.